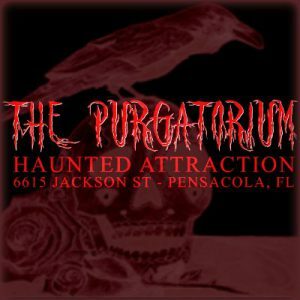 Purgatorium Haunted Attraction is a Haunted Attraction located in Pensacola, FL. 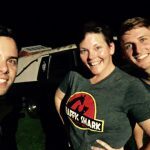 Team Giraffic Shark reviewed this attraction on October 14, 2017. THE PURGATORIUM is filled with a Cast dedicated to having fun while providing scares for all who enter. 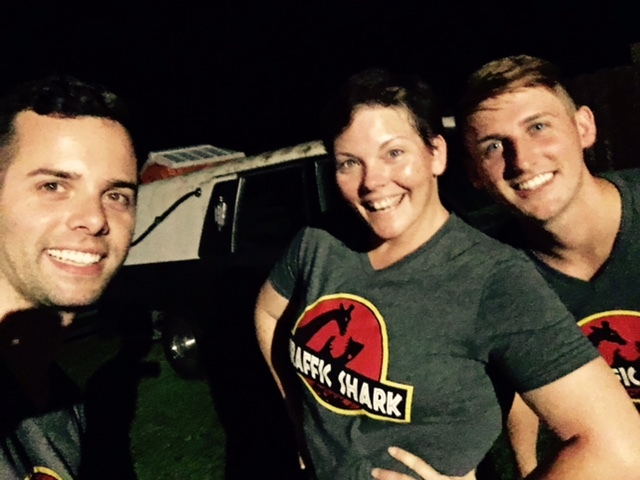 The passionate cast and crew put on a great show here in Pensacola, sure to be enjoyed by everyone. Ranging everywhere from handheld babies to well seasoned adults, THE PURGATORIUM Cast has a wide variety of talent and age range, and they are well utilized and placed throughout their haunt in a best attempt to match their talents to their characters. It is great to see kids scaring right next to adults throughout the haunt. Cast shines with their passion for scaring and acting, dedicated to the haunt and to their scares. A cast with this level of commitment truly makes all the difference in haunted attraction performance. Due to some young actors used in the haunts, occasionally a couple performers will have to leave in the last hour of the haunt, as our team experienced. While this still provided a great experience overall, we would recommend visiting towards the beginning of the night for the optimal show with the full performer lineup. Costuming and makeup provides complete looks, and while not overly detailed or intricate, they get the job done for this style haunt. While some costumes are more complete than others, the ones that are seen for a longer amount of time are better done, delivering a more complete image. There were, however, a few characters in T-Shirt style costumes, or with a graphic tee (under the costume yet visible), weakening the illusion of the character. The host for the evening, Riddles the Clown, was especially well costumed (and wonderfully and creepily portrayed), especially important due to the high level of Guest interaction for this character. Customer service was excellent at THE PURGATORIUM, including the ringleader on the bullhorn giving useful information between heckling Guests and Cast alike. The queue attendants were helpful, friendly, and efficient, engaging in conversation while Guests waited in line. This haunt is extremely ADA friendly and can easily be traveled by Guests in wheelchairs, especially for an outdoor haunt. Similarly there were no safety concerns within the haunt, and has been adequately inspected and supervised by the fire marshal. Police are present at the haunt assisting in traffic control and any other needs to help make THE PURGATORIUM a safe atmosphere for Guests as well as Cast. 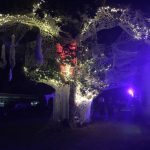 THE PURGATORIUM sets the scene for a haunted attraction with lights, a hearse parked out front, and a massive decorated tree with fun theatrical spider webs, lights, and other effects. This makes a great entrance statement for the haunt in front of a creepy old building, though the building is not used for the haunt itself. With a couple characters roaming out front and taunting the line, a creepy atmosphere is created in an otherwise not so creepy location. 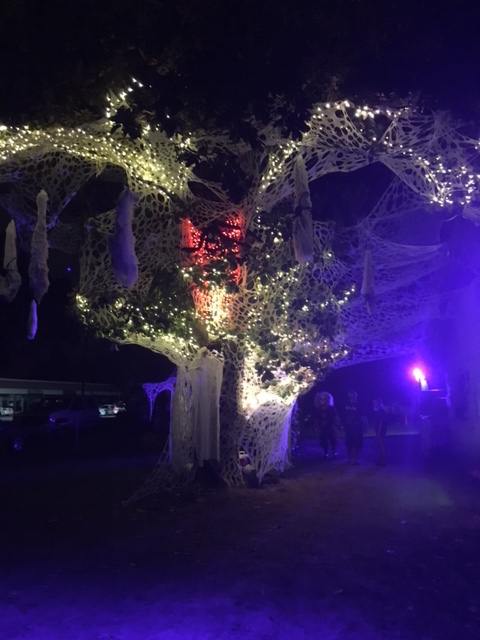 The work done on the large tree to light and decorate it is well worth the time and energy it took as it perfectly sets the Halloween spirit and frame of mind and is a great landmark for locating the attraction as well. THE PURGATORIUM creates some detailed, highly effective scenes throughout its attraction. By using recycled billboard fabric for the majority of its partitions between scenes, they make an economical, surprisingly fireproof, flexible, and effective division of scenes, while not being overly themed. This is a perfect option for a lower budget haunt, and brilliant as it allows Cast to crawl under, tap, hit, and interact with the walls of the haunt adding additional scares and startles beyond the actors’ dedicated scenes. 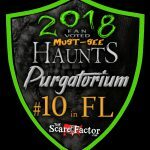 THE PURGATORIUM creates some really detailed scenery for their haunts including a full façade of a building, an entire cemetery, a morgue (including realistic antique props), as well as cars, scaffolding, and more. Riddles the clown has painted graffiti throughout the haunt, tying the character out front throughout the haunt as well. THE PURGATORIUM travels through many different scary scenes, with no overall theme or story. THE PURGATORIUM relies primarily on actors to deliver scares, though they have some great practical effects as well. Cast uses the scenery and props to their benefit to create scares. Characters rattle giant scaffolding units, crawl under tarps and walls, and hide in dark corners to scare Guests. Cast is dedicated to doing whatever it takes to achieve maximum scares to the Guests. Cast lurks through scenes, and reappear in different scenes to continue scares through the haunt. At a VERY reasonable $10 ticket, THE PURGATORIUM is fun AND affordable for the entire family. 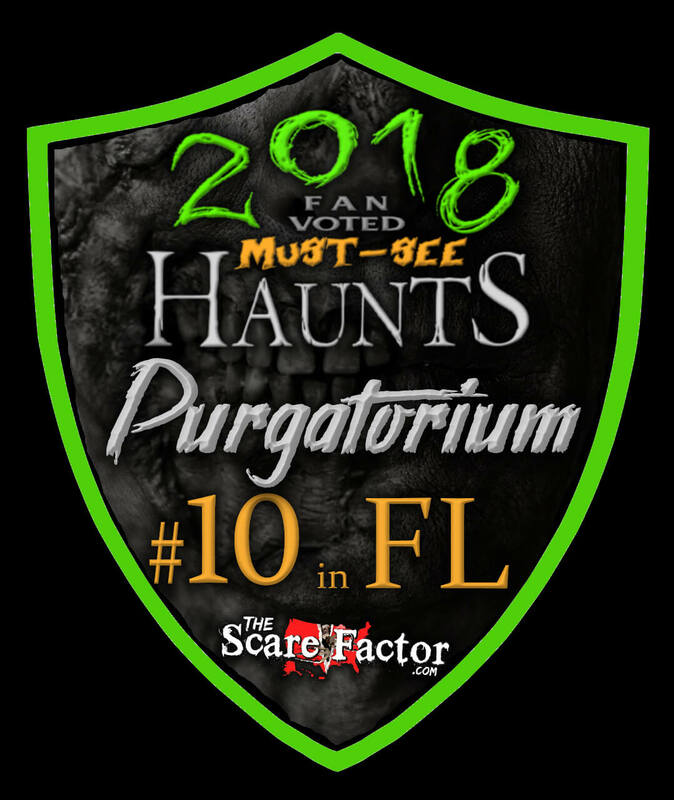 With a moderate walk through length of over 15 minutes, THE PURGATORIUM is neither too short to not be worth a drive or the ticket price, nor is it too long to be too much for the whole family to enjoy. THE PURGATORIUM utilizes the space they have well, with the ability to change the layout year to year. THE PURGATORIUM isn’t so space confined to have to rely on narrow passageways and small scenes as well, as they showcase some large scenes along with some narrower pathways, providing great variety in their layout. Maybe for small children. Reviewed them on their Facebook page along with others recently then I …show more noticed they took option down to review. That should say it all!